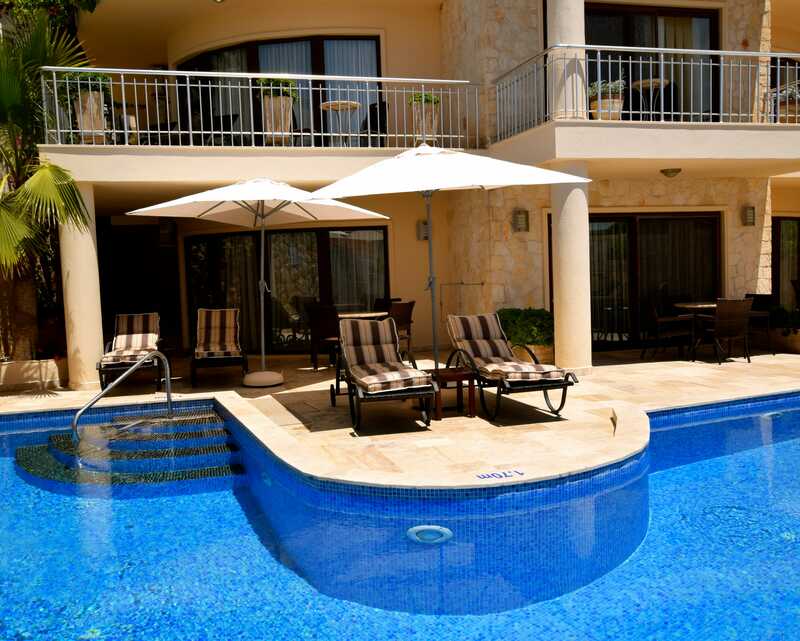 Truffle Residences is an apartment block built in 2009. by one of Kalkan’s most successful developers and hoteliers, Aykan Group. It comprises five duplex boutique apartments. 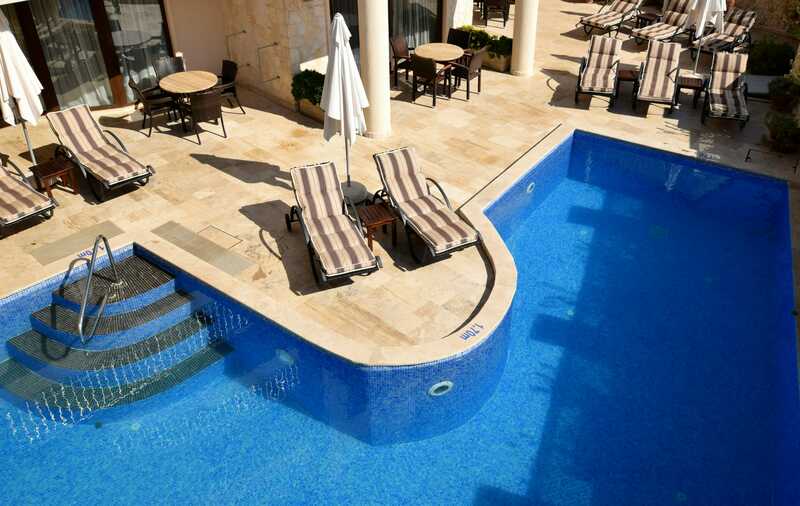 Truffle Residences has its own private pool, pool-side shower, sunbathing area and pool-side barbecue. The private pool is shared by all five apartments. These unique apartments are the highly personal vision of its owners, who have sourced predominantly Turkish materials and art. However, some things (in the name of comfort) have been imported. Each apartment has its own individual character and decor, the colour palate of each apartment are edible two tone shades. The apartments are fully equipped to meet the needs of the modern, discerning visitor. On the ground and first floor there are three 2-bedroomed apartments, Cool Mint, Mellow Mocca and Bohemian Raspberry, and on the second floor and roof terrace there are two 3-bedroomed apartments, Devine Seville and Chocolate Blues. 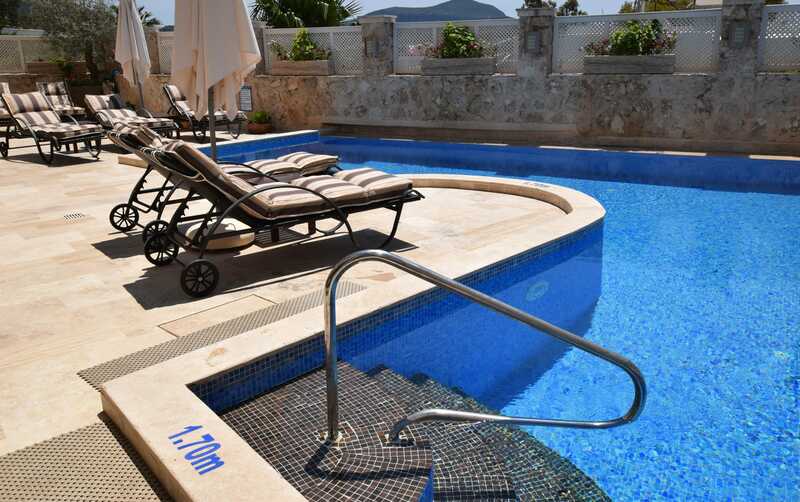 All of the apartments have their own private entrances, face the private pool area and have panoramic views over Kalkan bay. There are no lifts in the building and as all of the apartments are duplex there are internal staircases therefore, access may be difficult for those in a wheelchair or with physical disabilities. Welcome Hamper consisting of tea, coffee, sugar, milk, bottled water, fruit juice, bread, butter, eggs, jam – we hope this will keep you going until you have time to get to the shops! The apartments are cleaned and the laundry changed at the end of each week or following a changeover. There is also a mid-week towel change. A limited number of cots, high chairs and stair gates are available for an additional charge. Please request these when making your booking. Parking is available on the road to the rear of Truffle Residences. Truffle Residences, comprising 5 duplex boutique apartments, are superbly located between the Han Restaurant and the Dream Hotel in the centre of the village. A 5 minute walk and you are amongst the shops, bars and restaurants. The delights of the beach, harbour and numerous beach clubs are only a 10 minute walk away. See Turkish Delights – Relax for more information. The prime location of the apartments means you can just pop out for that forgotten item, a newspaper, loaf of bread or a bottle of wine. It also means that you can enjoy the wide variety of restaurants in Kalkan and just walk back at the end of the evening. We are so close, there is no need for a taxi!